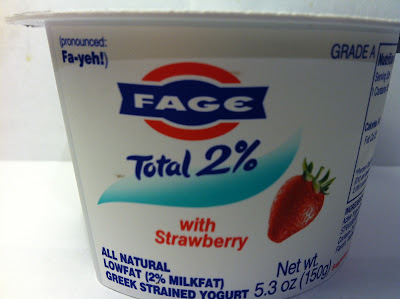 In my prior reviews of Fage Total 2% Greek Yogurt products, I've got to say that I enjoyed them quite a bit, so I expect nothing less of this Fage Total 2% Greek Yogurt with Strawberry that is the subject of this review. As with the others, I picked this one up on sale at Kroger for $1.00 and it is 5.3 ounces with 140 calories and twelve grams of protein. As with the others, this is Greek yogurt WITH strawberry as opposed to strawberry flavored yogurt. Notice the distinction? I'd like to say that I figured it out quickly, but it took me until this review to finally discover that. Yeah, I'm brilliant. 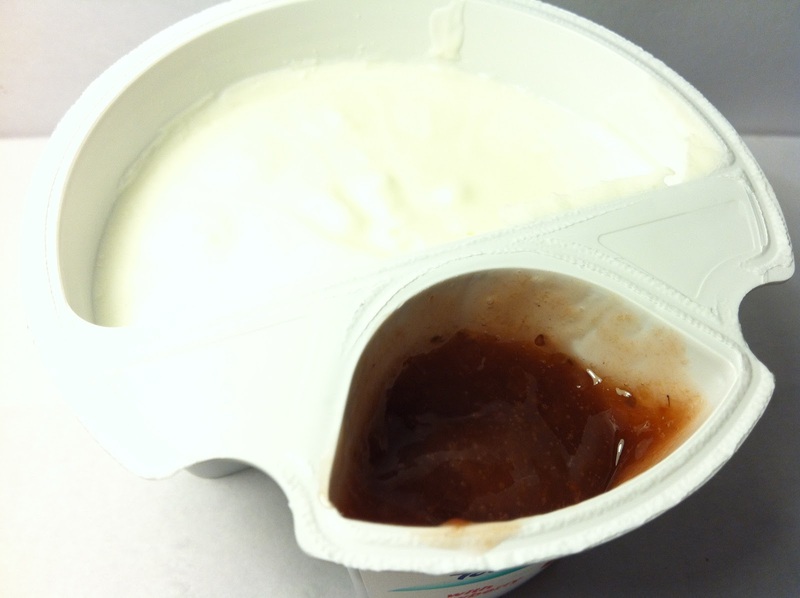 Since this is Greek yogurt WITH strawberry, it carries the typical Fage sidecar design where the strawberry mix and the yogurt are kept separately. The strawberry mix itself smells sweet and contains several tiny strawberry bits, but no real strawberry chunks at all. If anything, I would compare it to a jar of strawberry preserves that you'd see on the table at your local Denny's or IHOP. The Greek yogurt itself was just like any of the other Fage Greek yogurts. It was stiff and had a tart smell. In terms of taste, the tart smell translated to the taste, although not all that strongly. The strawberry mix itself was sweet, but only mildly so and that was quite nice. It not only looked like strawberry preserves, but also tasted like it too. Heck, this might have even been strawberry preserves at one point. Who knows. Anyway, when you mixed the two together it made a nice treat that was sweet at the beginning with a little tang at the end. It was the perfect mix and tasted almost dessert like. In fact, add in some strawberry shortcake and you've got a delicious trifle. Actually, I wish I hadn't just typed that because now I'm getting hungry thinking about it. Buy It or Fly By It? This one, like all the other Fage products so far, gets a BUY IT rating. Parfait-like and trifle-like in its taste, this is absolutely worth buying and I normally don't say that about strawberry related products because they aren't high on my list of favorite things. That said, this defies that conventional logic of mine because it is that good. Buy it and I think you'll feel the same.